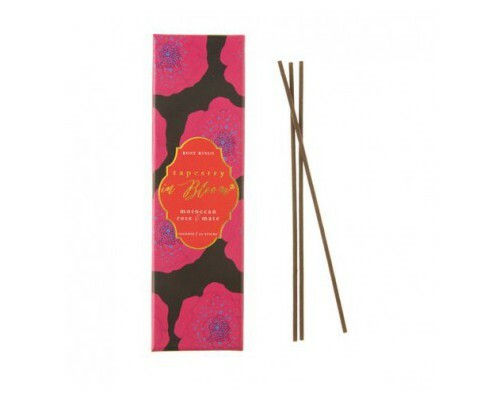 Rosy Rings Moroccan Rose & Mate Incense; intensely fragrance sticks. An explosive aromatic material which releases fragrant smoke when burned. SCENT: Brilliant green threads of matcha tea embroidered onto a cloth of ochre desert amber and gorgeously festooned with romantic tassels of African rose.